Kind. Generous. Passionate. Three words that describes Brittany Baker beautifully. 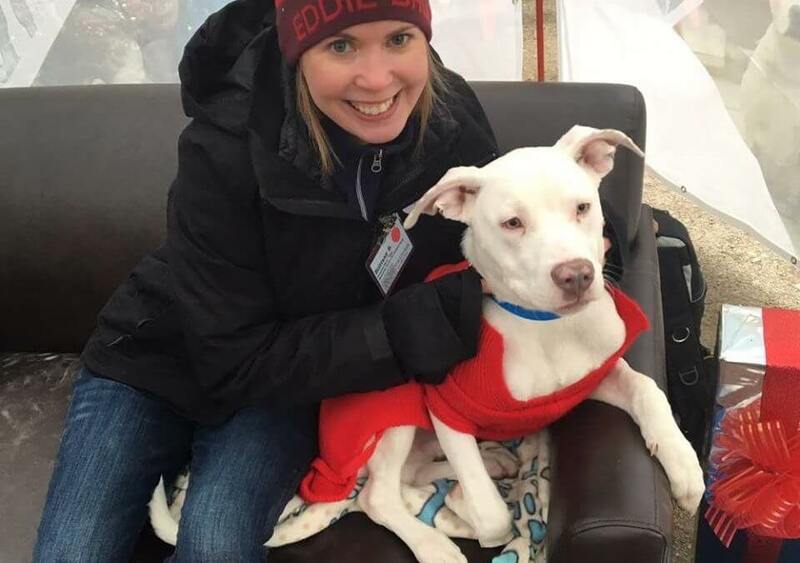 Brittany has been volunteering with the Michigan Humane Society for nearly a year and has been a rock star! She has volunteered in many capacities. She walks dogs every Monday at the Rochester Hills shelter and has also volunteered with animal transport, the Pet Pantry and special events. Whenever a new volunteer opportunity apprises, Brittany is always eager and ready to help. She even got her corporate team involved when the Pet Pantry had a volunteer cancellation. Brittany is looking forward to volunteering at more special events and even medicine administration. “I support MHS because I believe in the mission of the organization and want to make a positive impact in the lives of shelter animals in any way possible,” said Brittany. Thank you, Brittany, for being an awesome volunteer and special thanks to all the volunteers who support MHS. Our work would be impossible without your daily help. If you are interested in volunteering at the Michigan Humane Society, visit our MHS volunteer page at michiganhumane.org/volunteer.